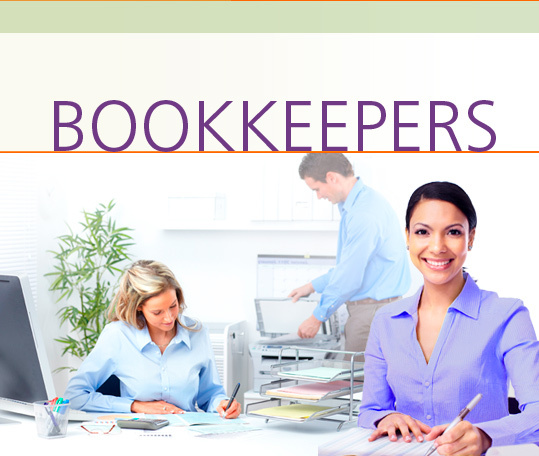 A Bookkeeper is responsible for maintaining the financial records of a company by accurately recording its day-to-day financial transactions. Duties also include reconciling and balancing all accounts, processing checks, payments, deposits and the company payroll. In the Bookkeepers Career Extension, students learn how to interview for a job, discuss their educational background, formal training and work experience, and ask about job responsibilities. They become familiar with work conditions and discuss company guidelines, policies and record storage. Students learn bookkeeping terminology and procedures, and discuss a new client’s business and the services that can be provided. They learn how to deal with feedback from both clients and superiors, and talk about their strengths and weaknesses.